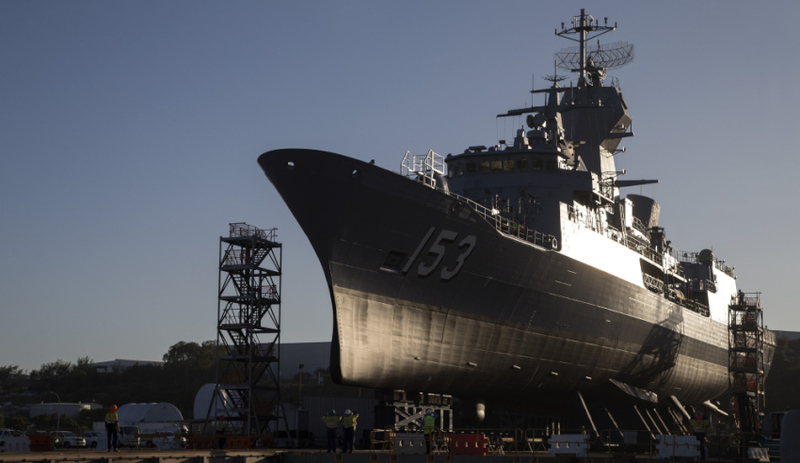 HMAS Stuart during undocking at BAE Henderson Dockyard after completing the Anti-ship Missile Defence Upgrade. With construction set to begin on an $80 million manufacturing and maintenance shed in Henderson, Western Australia, Forgacs is hoping to prepare WA locals for a new wave of shipbuilding work and opportunity. The company, owned by Civmec, is constructing the Australian Marine Complex in Henderson ahead of major shipbuilding projects over the next decade. The shed, which is expected to be completed by 2019, is central to Civmec’s plan to capture a piece of the federal government’s $90 billion naval refurbishment program. The 18-storey high structure will become Australia’s largest undercover shipbuilding facility. It will be big enough to house warfare frigates as well as patrol vessels. Civmec, in partnership with Dutch company Damen and Australia’s ASC, is bidding for the federal government’s $3-4 billion Offshore Patrol Vessel contract, which is due to be awarded by September. Civmec is competing with Austal, which is teamed with Germany’s Fassmer on the OPV bid. Forgacs managing director Mike Deeks will provide details of opportunities that the marine and defence facility at Henderson will bring for WA businesses at the Forgacs WA Works Sundowner on 31 May. Forgacs has been involved in various naval projects over the past three decades, including the Collins Class submarines, Anzac Frigates and Air Warfare Destroyers. The event is part of Forgacs Marine and Defence's plans to grow a significant presence in Western Australia.